Home News HAPPY GROUNDHOG DAY! Will Punxsutawney Phil see his shadow? HAPPY GROUNDHOG DAY! Will Punxsutawney Phil see his shadow? Groundhog Day – specifically Feb. 2 – traces its roots back to an ancient celebration of the midway point between the winter solstice and the spring equinox. According to legend, a sunny sky on that day signifies a stormy and cold second half of winter while a cloudy sky indicates the arrival of warm weather. In 1887, Clymer H. Freas, city editor of the Punxsutawney Spirit newspaper, was inspired by a group of local groundhog hunters to form the Punxsutawney Groundhog Club with Phil as America’s official forecasting groundhog. Phil’s fame grew and soon, people around the country began looking to him for weather predictions. Those predictions have been overwhelmingly in favor of more winter. When Phil isn’t forecasting, he lives in a Punxsutawney zoo at with his wife, Phyllis. Tradition holds there’s only been one Punxsutawney Phil and that he’ll be 132 years old on Feb. 2. The Groundhog Club claims “Phil gets his longevity from drinking ‘groundhog punch’ (a secret recipe). One sip, which is administered every summer at the Groundhog Picnic, gives him seven more years of life.” However, since a groundhog’s life expectancy is between 6-8 years, you be the judge. Punxsutawney Phil’s forecasts are not made in advance by the Inner Circle. After Phil emerges from his burrow on February 2nd, he speaks to the Groundhog Club President in Groundhogese. His proclamation is then translated for the world. 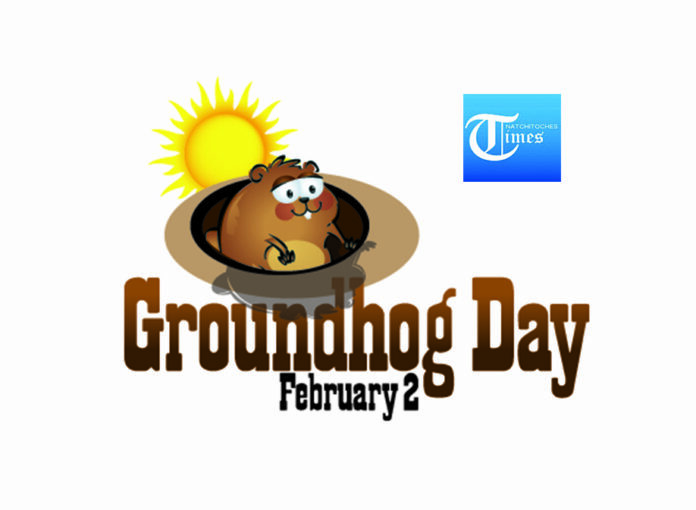 The celebration of Groundhog Day began with the Germans, Pennsylvania’s earliest settlers. They brought with them the legend of Candlemas Day, which states “For as the sun shines on Candlemas day, so far will the snow swirl in May…”. The settlers found that groundhogs were plentiful and were the most intelligent and sensible animal to carry on the legend of Candlemas Day.